A VPN is a must-have for any business looking for secure communications, freedom of movement, and top-notch security. In this article, we’ll be going over what exactly makes for the best VPNs for businesses and why they’re so necessary in today’s world. Additionally, we take a look at the top business VPN on the market today, and look at why NordVPN comes out top as the best VPN solution for business. Get NordVPN for your business today. Why Get a VPN for Business Purposes? Secure Communications In 2016, nearly 90% of businesses were subject to a data breach. Hackers are too commonly walking away with personal or private data and using it to commit fraud and other online crimes. If these companies had invested in the necessary cyber-security prevention techniques, including the use of a secure VPN, their data could have been secured and encrypted, and their activity kept private. As well as helping to prevent data leaks, a VPN can also help keep employees protected from unsecured Wi-Fi spots (in hotels, airports and cafes) – helping to prevent hackers from intercepting traffic and allowing staff to work without fear of being monitored online. Geographical restrictions Do you or your staff ever travel for business purposes? If yes, how can you be sure that your employees are consistently using a secure internet connection or private Wi-Fi network? A VPN can ensure that your employees’ connections are encrypted to military levels, making the connections totally anonymous and private, wherever they are in the world. A VPN will also allow you to browse the internet as if you were in your home country. In fact, a VPN will remove geographical restrictions by rerouting your internet traffic through your location of choice – allowing you to browse as if you were sitting at your office desk in your home country, gaining you access to all the websites and channels that you’re used to. This means, if you or an employee are in an internet restrictive country, where basic social media sites (Skype, Facebook, and WhatsApp to name a few), you can simply set your server to your home country and your IP address will be changed. When it comes to choosing the right VPN solution for your company, there are many VPN providers to take into consideration. Tested in real-life business settings, we reviewed dozens of VPNs to find those with features most beneficial for businesses. NordVPN for Business is recommended by some of the most reliable voices out there, from Wired magazine to Yahoo Tech, as well as Forbes, and PCmag.com. It’s a solid choice for business to business VPN use. Several tunneling techniques – NordVPN utilizes many different protocols including Secure Socket tunneling and Point to Point tunneling. ExpressVPN is an ideal VPN business solution. It is one of the most reliable and consistent VPNs on the market and therefore offers excellent value for money. Top data privacy and security – owing to the fast connection speeds, ExpressVPN customers do not have to compromise on performance at the expense of top notch security settings. 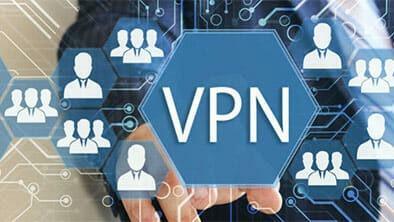 PrivateVPN is an impressive VPN for business with a whole host of crucial features included in the rock bottom price. Many different protocols – PrivateVPN takes security incredibly seriously. They have several different protocols including OpenVPN, TCP, UDP, L2TP or IPsec and PPTP. Our preferred choice is OpenVPN. IPVanish is perfect for businesses as it is easy to use due to its simple interface and system. Meaning staff spend less time on understanding a new, complicated piece of software, and more time on their jobs. Uses two protocols, IKEv2 and IPsec – Helpfully, IPVanish list a strong comparison on their website if you aren’t sure which works best for your business VPN needs. Huge network of servers – This company is one of the ultimate choices for VPN for business, mainly because of their tremendous scope. They have over 850 servers in more than 60 countries, and specialize in unrestricted access to the web. Results driven – IPVanish remains at the top of its game as it knows how to respond to business needs. They highlight some great business benefits, such as the ability to VoIP from any location, keeping business costs low for calls across the globe. With a business VPN, employees will be able to gain access to files from their business’ specific server, essentially allowing them to work from home or abroad as if they were logged in on their computer in the office. Companies will be able to safely access, send, and download files and important business material from their office with ease giving them remote access to the business from anywhere across the globe. A consumer VPN used by a business, on the other hand, will allow businesses to experience a reliable and private connection no matter where they are in the world be it for business or pleasure online. This kind of VPN will allow for a private and secure connection without having to worry about the interference of third parties and hackers intercepting data. Importantly, as previously mentioned, VPNs provide access to websites and services that may be blocked due to geographical boundaries. This means websites, news channels, and VoIP services such as Skype and Viber, can all be accessed even if employees are traveling to China or certain Middle Eastern countries that impose bans. There are a number of awesome VPN solutions for small business on the market, and many of them have extra security, privacy, or communication tools which can help tip the balance in their favor. See our VPN review for best services. For us, the double military grade encryption levels, as well as the extra cyber security tools help us feel confident in recommending NordVPN for the best business VPN. The protocols are simple, safe, and speedy while the price is competitively low. The extra features which keep you protected even when something goes wrong are industry leading.